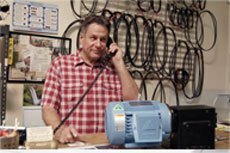 We are third generation AZ electric motor and pump repair specialists with over 50 years of combined experience. We repair and rebuild any brand motor. Don't want to wait for a repair? 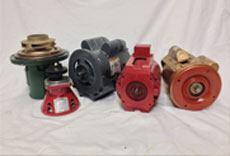 We keep a steady supply of rebuilt electric motors and pumps and a wide variety of parts and accessories on hand. We’re also authorized distributors of many of your most trusted electric motor and pump manufacturers including Leeson, GE, Fasco, Century, Marathon, Bell & Gosset, Armstrong, Taco, Lincoln, Worldwide, and Hyundai. Contact us today for pricing and any questions you may have. We’ll give you the time and attention you deserve! The Phoenix metropolitan area isn't called the Valley of the Sun for nothing. Whether you live in Glendale or Surprise, the Valley gets an average of 330 days of sunshine each year. With average highs pushing past 100 degrees more than 100 times each year, Phoenicians will do just about anything to stay cool. From jumping in the pool to escaping the heat indoors, electric motors help keep Valley residents comfortable year round. 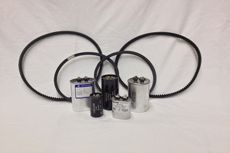 What happens when you need electric motor repair? Run 'Em Again offers electric motor repair Glendale residents can trust when the temperatures skyrocket. We provide a wide range of services to customers in the Phoenix area, ranging from repairs to rebuilds and replacement parts. Whether it's offering residents of Glendale electric motor repair or providing AC electric motor rebuild Surprise businesses need, Run 'Em Again can get your motor cranking. Our experienced team tests every aspect of your vehicle including bench, motor and pump testing. Ask for a check of the winding or enjoy our comprehensive overall inspection which helps diagnose elusive underlying problems. It's never been so easy to have your vehicle tested and corrected in the Glendale area. In addition to repair services, Run 'Em Again also offers a wide selection of parts and rebuilt systems to get your motor up and running again without waiting on repairs or replacement parts. We stock a variety of belts, electric motors, and fan blades from brands like Bell & Gossett, GE, Leeson, and more. We even carry rebuilt motors and rebuilt pumps to ensure your AC system or pool pumps get back online as quickly as possible. With more than 50 years of experience in repair and servicing, Run 'Em Again Motors is the Peoria electric motor rebuild and repair company you should turn to when you need to help with a failing electric motor. Our third-generation family business started with the trade skills of Henry V Hayden Jr., a veteran of World War II who served in the Infantry Corp. of Engineers. Today, the company offers the combined experience of three generations of skilled repairmen working to keep the residents of the Valley of the Sun cool at all times. Whatever electric motor repair Glendale residents need, we're standing by to help. We also serve commercial and industrial customers in the Valley, so contact us today for help with your AC motors and pumps!